When you create a startup, you have to consider not only your bank account but also your personal life. Where are you at with life? Are you a single 19 year old? Or are you 25+ and thinking about starting a family? I was the latter. My wife and I knew we wanted a family, and soon. Now, my little one is 8 months old. My startup is 18 months old. It hasn’t been easy and I’ve learned a few things along the way about how to balance a fledgling business with being a new father. So here are a few tips. Side-note: I can’t speak for the experience of female founders and motherhood. Tara Reeves wrote recently about her experience as a VC and it’s a good read. If you are keen to do a startup, having the balancing discussion should start long before a baby arrives on the scene. My wife and I had the startup and baby talk nearly a year before her pregnancy. Startups are chaotic. Babies are chaotic. It’s a lot of chaos at once. I’m very lucky my wonderful wife has been supportive from the very start and has been Limio’s #1 champion. Without her encouragement and support, I would have given up a long time ago. Even if the baby wasn’t planned for, they do take a while to appear — which gives a little bit of prep time in all scenarios. And — unlike a startup public launch or product roadmap milestones 🙄 — the baby roughly sticks to its 40 week gestational schedule. The most important discussions are sorting out where to live (and work) and talking through the money situation. As an early-stage founder, you are in the unique position of either moving your home closer to your work or… moving your work closer to you! Either way, it’s going to be ten times more difficult if you work far from home — at least in the first year of your baby’s life. A startup requires impromptu meetings, early coffees and (often) late office work. A baby will sometimes be sick, your partner will be sleep-deprived, a grandparent may be delayed. You need flexibility. A one-hour commute doesn’t give you that. Try to live close by and buy a way to get there even faster. A motor scooter (£5,000), an electric scooter (£1,400), a Brompton bike (£800) or a push scooter (£44). And let’s be honest here — you should probably get the push scooter because it’s cheap (I got this one, please don’t laugh). It may sound smart to go and live in the suburbs and put your work next to it. Good plan, except if you plan on hiring top talent. In London, most talented developers or marketing execs want to work in Zone 1 — and you want to be where they are. So, rent won’t be cheap. Which leads me into the money part. Babies are not cheap. We had to move to a larger place. Furniture, equipment, toys, and clothes (your capex), as well as nappies and food (your opex) consume a big budget. This means you and your partner need to discuss how to handle the money situation alongside your business. Do you have joint savings? What’s the salary you take home now, if any? Your costs are only going up once the baby arrives, so what’s the outlook in 12 months? Is your financial situation going to improve, thanks to your startup growth or external investment? Can you afford to burn or do you need to breakeven? It’s not just you either. Does your partner have maternity leave? How much and how long? What happens afterwards? Does she go back to work? If so, when does she want to go back? Or when does she need to? A nursery/nanny is around £20–30k per year in London, then there’s extra travel costs, so there are financial trade-offs here and the sooner you talk about it, the better. There’s also a lot of uncertainty — neither of you knows how you’ll feel when the baby shows up, so you need to explore your options as a team and stay flexible. It can be difficult and stressful for a family to live in central London with a total household income of less than £60k — and that’s with cutting back on holidays and restaurants. If you’re bootstrapped or pre-Series A, it’s unlikely you’ll be able to pay yourself that amount. Chances are, you’ll have to tap into your savings. Understand your household runway. Do a cashflow forecast. Seriously, even if it’s just for peace of mind. Babies are not independent. They need watching. They need entertaining. They need care and love. You will need to be around often. You will want to be around more than you are. Being in the office from 9am to 12am every day is not going to work out if you want to see your child. To see my son, my ‘default’ hours are 9am to 6pm, so I can put him to sleep by 7pm (babies go to sleep early, though you can push it out later in some cases). I’m pretty happy if I can be there for bedtime two or three times per week. I pick up work after 8pm when my child sleeps. If I don’t make it in time to put him to bed, and I’m not needed at home, I’ll stay late in the office to get more done. If you can, try to work one day from home, especially if you don’t yet have employees needing guidance. Once you have a baby, you want to spend plenty of time with them (and time with your partner becomes even more precious). That means a couple of things must go. Cut out the unnecessary stuff, if you haven’t already. I deleted my Facebook account and cut back on how much I read news sites. I don’t do pick-your-brain coffees anymore. I avoid conferences, except if our prospects are there. I say no a lot more. That’s the easy part and probably something most founders do quite naturally. The harder part is not going to a friend’s leaving drinks or birthday, or not calling or seeing friends and wider family as often as you’d like. You can’t do it all. Hopefully they will be understanding. It’s not possible to talk about babies without talking about sleep. Babies don’t sleep smoothly (whoever coined the phrase “sleep like a baby” must not have had one). They wake up often. They wake up early in the morning. Sometimes they sleep for 10h straight, sometimes they don’t sleep at all. That means you don’t sleep much anymore. Getting 8h of uninterrupted sleep is the dream. Navigating this is an ongoing discussion with their mother. Some fathers completely leave the night feeds to their partner because they work (🤔). Some hire sleep trainers or night nannies (£12/hour!). As an early-stage founder, you probably can’t afford home help. However, you can arrange your work more flexibly so that you can support your partner (and have some extra time with your baby in the process). So for the first couple of months, my wife and I took it in shifts, one from 7pm to 2am, the other from 2am to 7am. Once our son’s sleeping patterns changed, my wife took over the night and I wake up early with him (often 5:30–6am) and we play together while she sleeps. If the whole night is a wreck, I try to work from home the next day. What’s for sure is that it’s tiring. Founders don’t take holidays. Or at least that’s the general idea. Pre-baby, it’s for sure not a priority, maybe the occasional Christmas break and fake-holiday-but-really-remote-working holiday. But balancing a baby and a startup is exhausting. I need to rest, to sleep, to recharge. If you can, staying with grandparents is a great win-win. They are happy to spend quality time with their grandchild (and you), it’s easier for you to rest during the day, you get to sleep a bit more and you will (hopefully) be well fed. It’s also easier to do remote working from a relative’s place, rather than a random hotel or while driving around. Take holidays. You deserve it. But more importantly, you need it. No one wins if you burn out. That’s what I’ve learned so far! But babies change a lot, and so do startups. Babies from 0 to 24 months and startups from bootstrapped to seed look completely different. And that’s what’s fun about it. You keep learning and seeing the world with new eyes 👶! One of the things I’ve learned is that parents are among the most productive people on the planet — ambitious, talented men and women trying to cram as much as they can into reasonable hours. With a little help and support (both inside and outside the office) babies and startups are quite a good combination after all. 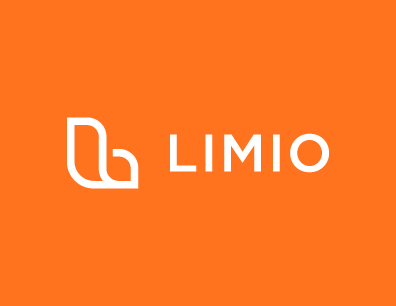 Limio is a company based in London which helps business-to-consumer businesses deliver better subscriber experiences. We share our founders and employees experience building a startup from scratch into the fast-growing world of subscriptions.